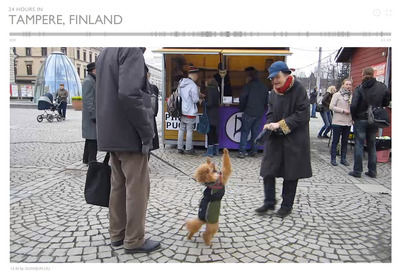 24.hours.in Tampere (www.24-hours.in) is an interactive documentary project exploring new opportunities for participation, collaboration and the potential democratisation of documentary production. Utilising user-generated video captured on mobile phones and available devices, the project is participatory whereby the audience contribute documentary videos. With reference to Dziga Vertov’s seminal 1929 documentary film ‘Man with a Movie Camera’, the aim is for the videos to document the cities, the people that live there and their daily lives. 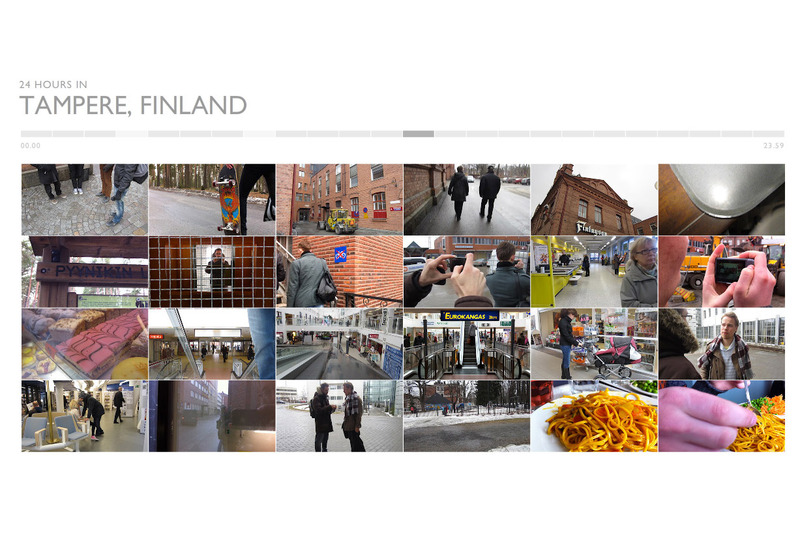 Moving beyond the user-generated content model, the project will build up a database of location specific documentary material and aim to create a new system for collaborative documentary production and user-curated content. The initial 24.hours.in Tampere prototype was produced at the Tampere Art Factory International Week, hosted by TAMK School of Arts & Media, Tampere University of Applied Sciences, Tampere, Finland in April 2011. 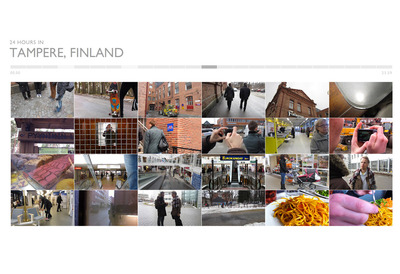 Richard Vickers ran an interactive documentary workshop, working with students from TAMK, to produce a collaborative, participatory, experimental documentary project centred on 24-hours in Tampere. The aim was to document the city of Tampere, the people that live here and their daily lives in a 24-hour period, the participants were encouraged to embrace Vertov’s pioneering avant-garde approach to filmmaking, utilising camera phones and mobile devices to capture “life caught unawares”. The paper presented at the MindTrek Academic conference discusses the development of the prototype project and the opportunities that ubiquitous and pervasive mobile camera phones and smart devices offer for the democratisation of documentary production.